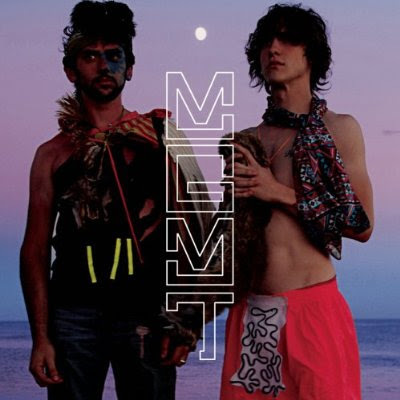 One of the nicest surprises of the year (and one of the strangest names for an album), MGMT released an album that managed (pun intended) to capture the heart of all kinds of people, get great reviews from the music press AND was a chart hit. Not bad for two kids from Brooklyn. And their music: as they say, "We would write a new song for each show and our shows would be 15 minutes long". Such is the album's style: each song sounds unique, as if it could hold an album on its own. Most of the songs could easily be singles other groups would kill for. It is pop, unconventional and amazingly structured, leaving far behing their days of being obnoxious for the sake of it in Wesleyan University in Middletown, Connecticut where they first met back in 2002. There is so much fun enclosed in this record, it can make you dance for many many years to come. But I am certain that the kids will keep refuelling us for a while more. The reason you see no official videos of MGMT is that they have disabled embedding on ALL official versions of their clips on You Tube...But you do get to read the lyrics now eh? Nai!! !swsti epilogi!gia na doume twra stin 5ada posa koina tha exoume...polu wraio to blog sou apla ithela na se rwtisw giati grafeis agglika alla meta to skeftika kai mallon einai polu kali idea!sorry kai egw gia ta greeklish!kali sinexeia! @elafini: έχω και άλλες συνταγές! @mimis: τα αγγλικά είναι επειδή με διαβάζουν πολλοί ξένοι συνάδελφοι και το μπλογκ απευθύνεται σε όλους και όχι μόνο στους Έλληνες. Καλή συνέχεια!